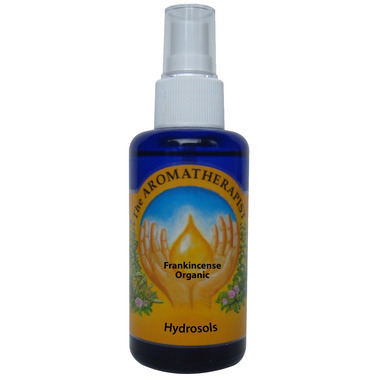 Rejuvenate with the serenity of The Aromatherapist Organic Frankincense Hydrosol. Common Uses: A beautiful toner to regenerate dry, mature skin. Frankincense Hydrosol hydrates the skin and can aid with cell regeneration, which combats the signs of aging. Frankincense has a long traditional use in spiritual practices for creating a serene, calm mind. Inside Info: Take a moment to spritz with Frankincense Hydrosol at times when you're feeling anxious or overwhelmed.